Michael C. Murphy, always known as “Mike,” was born the son of Irish immigrants in Westboro, Massachusetts, on February 26, 1861. From his youth he was enthusiastic about sports. A good sprinter, by the age of twenty, he was traveling around the country participating in the six-day foot races which were popular at the time. He also took up boxing and played minor league baseball. Mike then used what he learned from his fellow athletes to become a trainer. His natural ability to identify and to train athletes, including boxer John L. Sullivan, quickly put Murphy in high demand as a trainer and coach. In 1887, just a year after he established a training camp in Westboro, Murphy was so successful that he was called to become athletic director at Yale University. He remained at Yale until 1896, except for a three year stint as trainer of the Detroit Athletic Club. Murphy’s frail health, however, prompted him to seek an alternative to the harsh New England winters. Thus, in the fall of 1896 Murphy came to the University of Pennsylvania to train track athletes in the spring and to take charge of the physical conditioning of football players in the fall. He quickly made Penn a power on the track and field. During Murphy’s first season as track coach, Penn captured the intercollegiate track championship, scoring 34 points compared to 24.5 points for Yale, their nearest rival; Penn’s margin of victory was even greater in each of the following five years. But then, in 1901, Murphy returned to Yale, and Penn lost its edge on the track and field. 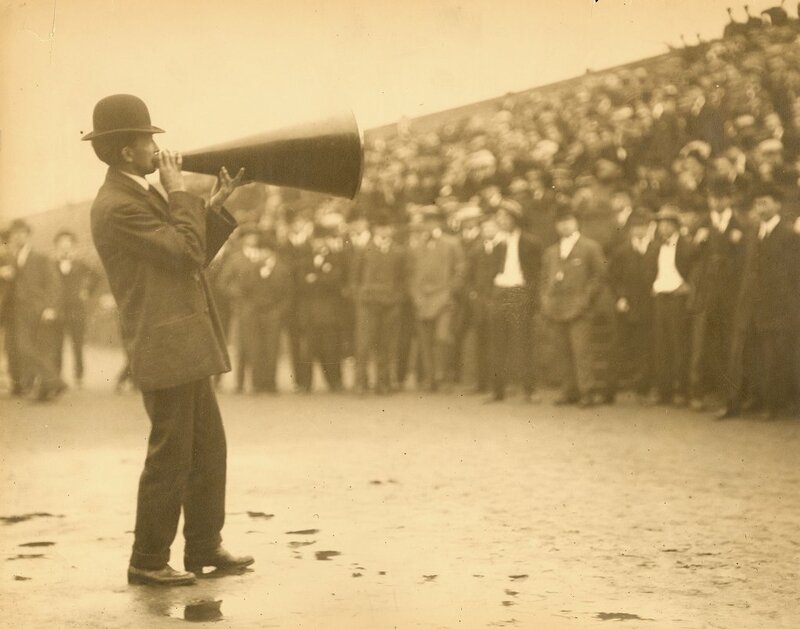 After Murphy returned to Penn for the 1906 season, he gradually rebuilt the team so that Penn was again able to capture first place in intercollegiate competition in 1907, 1910, 1912, and finally 1913. Over his ivy league career, fifteen of the twenty-two track teams coached by Murphy at Penn and Yale placed first in this intercollegiate competition. 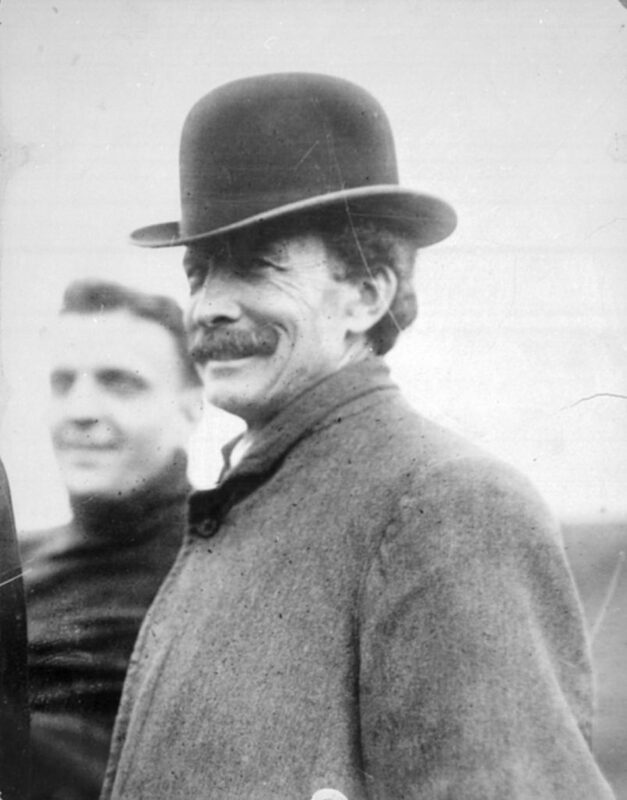 Murphy’s success led to his appointment as trainer for the United States Olympic teams of 1900, 1908, and 1912. In 1900 Murphy took thirteen Penn athletes, along with a contingent from the New York Athletic Club, to compete in track and field at the Paris Olympics; these Penn Olympians won an amazing number of medals: 11 gold, 8 silver, and 4 bronze. At the 1904 St. Louis Olympics, while Murphy was at Yale and not an Olympic coach, two Penn track athletes won two silver and one bronze medal. 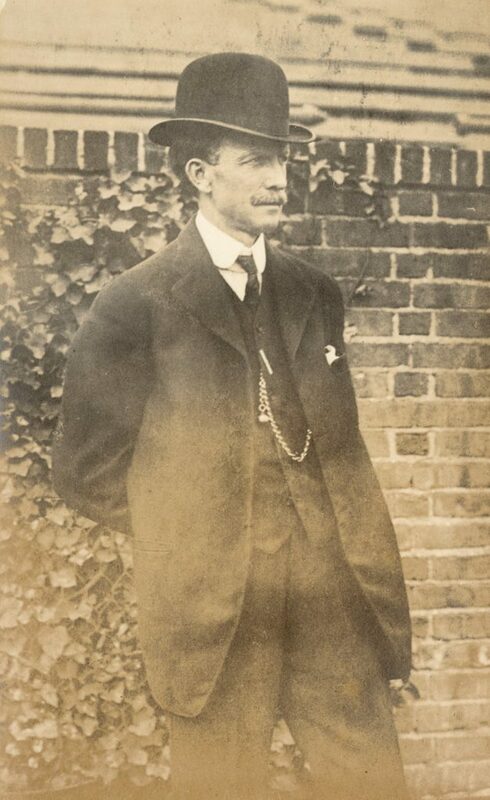 After Murphy’s return to Penn and to Olympic coaching, four Penn track stars won two gold, one silver, and two bronze medals at the 1908 London Olympics. At the 1912 Stockholm Olympics, the last in which Murphy coached the United States team, seven Penn men won two gold, one silver, and one bronze medals on the track and field. Mike Murphy was a legend in his own time, well-loved by all his athletes. Slight of build and deaf, he nonetheless was a man of charm and a commanding personality, with the remarkable ability to discern athletic talent and then to train and inspire young men to achieve beyond expectations. He also established many techniques for track and field still in use today; it was Murphy who first used the crouching start for sprinters. He authored two books explaining his techniques, Training and College Athletics. He was also a lover of chess, of good conversation, and of literature, particularly the works of Balzac. Murphy coached and trained Penn’s athletes right up until his death. Murphy, long in fragile health, had contracted tuberculosis a few years earlier, perhaps because of a cold caught on the snowy fields of Ann Arbor during a Pennsylvania-Michigan football game on November 18, 1911. The evening after Penn won its 1913 intercollegiate track and field championship, the members of the team gathered around Mike’s bed to tell him about the victory. He then lapsed into unconsciousness and died three days later, on June 4, 1913, at his home at 4331 Chestnut Street. The University flags flew at half-mast as the entire campus mourned his passing. The funeral procession from his home to St. James Catholic Church included many athletes, members of the Penn administration, and crowds of students; the church was filled with flowers from all over the United States and Europe. The many pallbearers and honorary pallbearers included not just current Penn athletes but also the likes of Jervis W. Burdick, Edward R. Bushnell, T. Truxtun Hare, Dr. Alvin Kraenzlein, Donald F. Lippincott, Dr. Josiah McCracken, Louis C. Madeira, 3rd, James E. Meredith, and Dr. George W. Orton — all champion Olympic and intercollegiate athletes trained by Mike Murphy. In 1941 the University built the Murphy Field House (destroyed by fire in 1968) on the athletics fields between Franklin Field and the Schuylkill River. Murphy and his wife, Nora, had a daughter, Mabel, and two sons. One of his sons, George L. Murphy, went on to become a well-known movie actor in the 1940s and 1950s and then a Republican senator from California. The other son, Charles Thorne Murphy, was a football star at Yale before settling in Detroit.